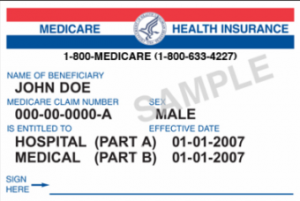 What a Medicare card looks like. Medicare is the health insurance program managed by the federal government that offers medical coverage to individuals eligible. Those who have paid 10 years of Social Security taxes can apply for Medicare when turning 65. Individuals under 65 can qualify be Medicare eligible if you have certain disabilities and meet the requirements. The “Affordable Care Act” and healthcare exchange does not apply to individuals on Medicare. Generally, you need to go on Medicare when first eligible and drop your individual coverage. Understanding Medicare and how it works sets the foundation for selecting the best health insurance plan for your needs. 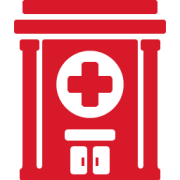 Medicare covers medically necessary healthcare services. Medicare has an annual hospital and medical deductible. Then copayments and coinsurance apply. Original Medicare allows you to see doctors and hospitals across the country who accept Medicare. No more worrying about networks, such as an HMO or PPO. Medicare is divided into Parts A, B, C, and D.
Medicare Part A and Medicare Part B is called “Original Medicare.” Original Medicare provides coverage and access to doctors, hospitals, and other medical healthcare expenses. At age 65, Medicare Part A is automatically given to people who have worked and paid taxes. Medicare Part B has an annual deductible. Most services are 80/20 coinsurance. Medicare pays 80% while you are responsible for the remaining 20% coinsurance after the Part B deductible is met. There is a standard Medicare Part B premium. Prescription drug plans depend on the service area people live in. The best way to find companies who offer Part D plans in your area is to go to Medicare’s website (Medicare.gov) or call 1-800-Medicare. Individuals who enroll into an Advantage Plan (Part C) still have Medicare, but the Advantage Plan pays instead of Medicare. Individuals must be enrolled into Medicare Part A and Part B to apply for Part C.
These plans fill the gaps left behind by Original Medicare.